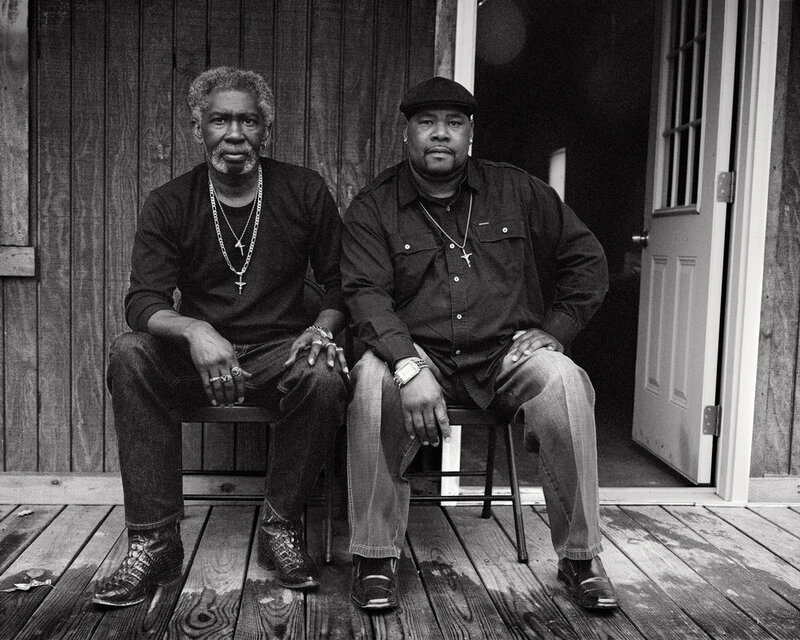 Our photography book, Levon and Kennedy: Mississippi Innocence Project was published in March 2018 by PowerHouse Books. Levon Brooks and Kennedy Brewer were both wrongfully convicted of two separate murders, which occurred 18 months apart. Levon was sentenced to life and spent 18 years in prison. Kennedy was sentenced to death and was imprisoned for 15. They were exonerated by the Innocence Project in 2008 with the help of DNA testing. After ten years of freedom, Levon Brooks died on January 24, 2018. This project could not have existed without the support of Levon and Kennedy and their families, the Innocence Project, the Mississippi Innocence Project, Olivier Renaud-Clement, the SHOEN Foundation, PowerHouse Books and Meridian Printing. Stay tuned for our next book events. Recently, I started two new projects in New Mexico, and in the Mississippi Delta. Glendora: Sing About Me is a multimedia project comprising a book of analog photography and in situ interviews, film and community projects. Its aim is twofold: to explore the connection between poverty and memory, and to record a town’s efforts to reclaim its lost heritage. Glendora, Mississippi, population one hundred sixty, may be best known as the ground for the murder of Emmett Till in 1955, which ignited the Civil Rights movement. When the FBI reopened the investigation in July 2018, after a key witness recanted her testimony, the marker commemorating the teenager’s death was riddled with bullets. Although the town erected a small museum in Till’s honor, Glendora has become a memory desert and in that sense may be seen as emblematic of the plight of African-American rural communities. Skills and ways of survival have fallen into oblivion as the jobs dwindled. The transmission of individual and collective memories within families and communities seems to have withered under duress. During previous work in Mississippi, I noticed that families passed little down in way of verbal and pictorial transmission. For example, while interviewing a woman in her 80s, I found out her own mother was a full blood Cherokee. Her children didn’t know that, nor that Cherokees relatives were working on the plantation where she was growing up. This led me to explore how the stress of poverty impacts the conveyance of memories from generation to generation, and to document a transmission so significant to America’s history. It also led me to collaborate with Glendora’s Mayor Johnny B. Thomas, who has long been striving to restore the town’s legacy. With his help, I amimplementing a youth program teaching film and photography in order to build such virtual library. This archive process will be documented in a film, prompted by individual narratives, with townsfolk performing as actors and directors. Different speakers weave a tale as we follow them in related contexts in their daily life. The film depicts the town’s lore in the hope of rebuilding its identity, while the photography book records its residents and their recollections. Resting on testimonies and images, both film and book lay bare the inexorable web of generational poverty and its profound impact. Neuroscience research on poverty trauma, intensified by racial bias, show that when brain capacity is used up on survival issues, there isn’t much bandwidth for anything else. It annihilates intellectual legacy and the skills, which provided self-sufficiency. Glendora: Sing About Me portrays the empowering process of restoring this heritage through education and visual media. I am honored and pleased to announce that I am the recipient of a generous grant from the Fondation CUVELIER in support of this project. Florida B. Smith, Glendora, Mississippi Delta. Levon Brooks and Kennedy Brewer, Macon, eastern Mississippi.